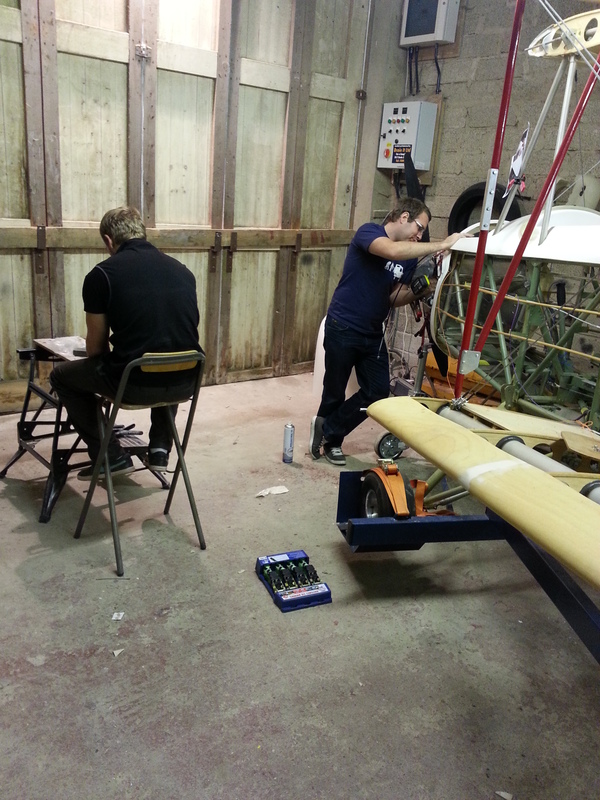 The last few rivets went into the fuselage late last night. 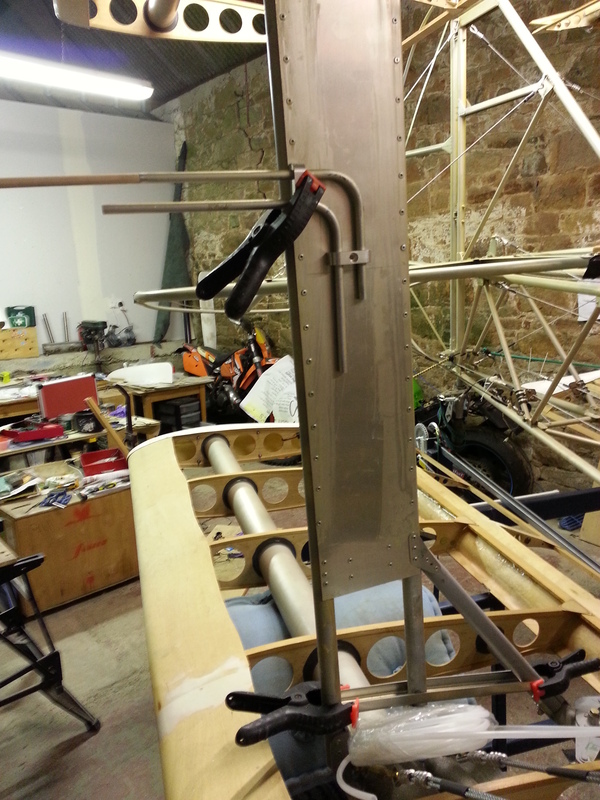 The cross supports that go over the torque tube .Bit fiddley to get the rivet gun in but all 8 x 2 went in. 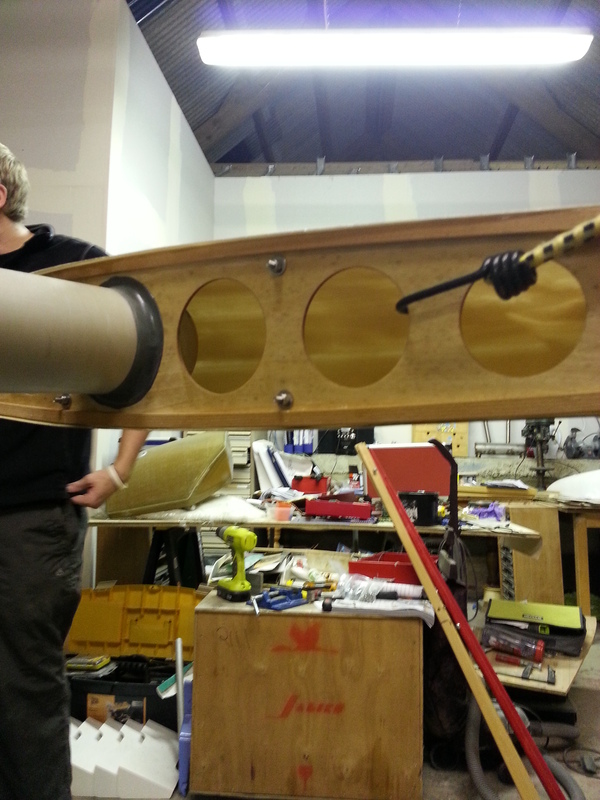 Then completed the riveting by securing the passenger front bar that suppports the front of the turtledeck . The duralac just about managed to stay liquid to the final one ! 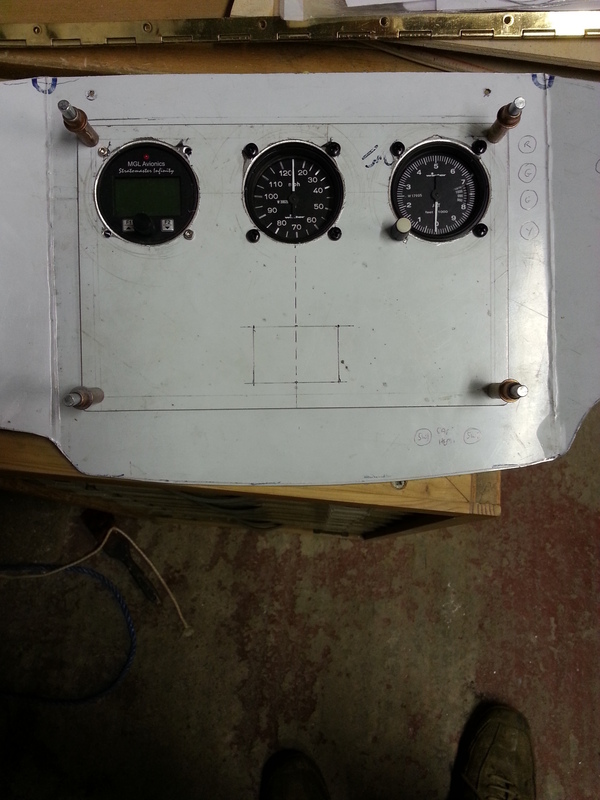 On a roll last night so drilled the holes to locate the airspeed indicator pickup pitot tubes. I purchased the very nicely turned alloy blocks from TLAC to mount these through. My earlier slots cut a few months ago have been filled as they were far too big and looked pretty ugly if i’m honest ! The new holes are still a little tight – but easier to start under and work up. 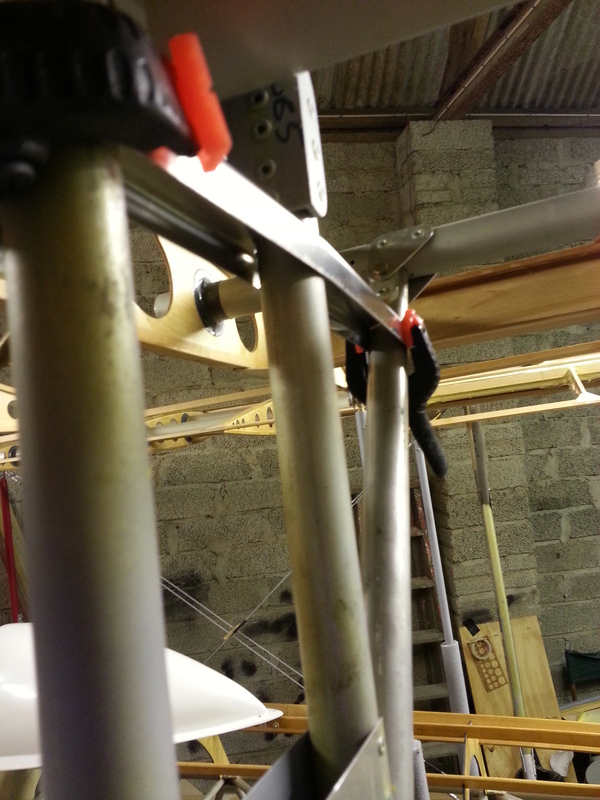 The Pitot tubing will route down the inner for the strut and then be fed into the trailing spar to re-surface at the lower wing rear hing point to then be routed and cable tied to the fuselage frame to the rear of the panel. 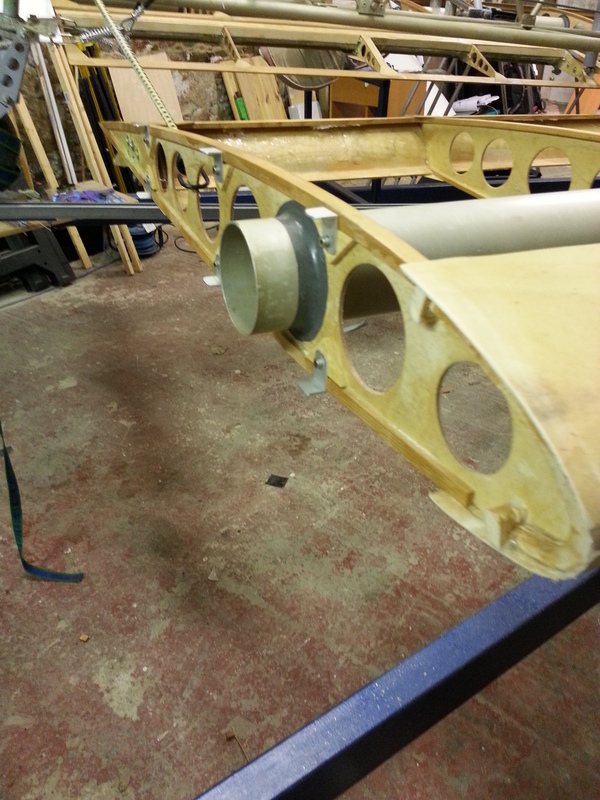 The pitot tubes have been left oversized at the moment and require trimming dow, the extended dowel pin in the from of the top tube provides the static block and will be smoothed to bullet shape. Finally got around to completing these. 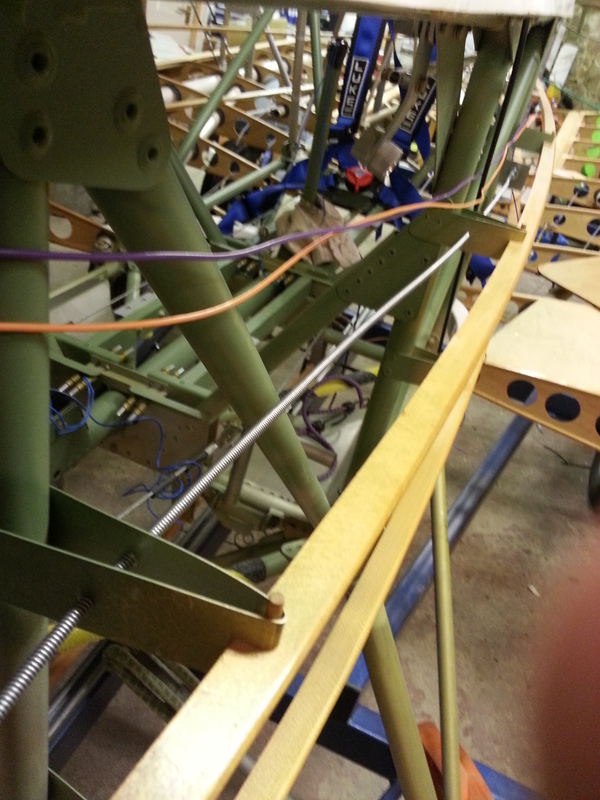 Each has to be made in situ to ensure a close fit to the 3 posts that provide the wing strut support. 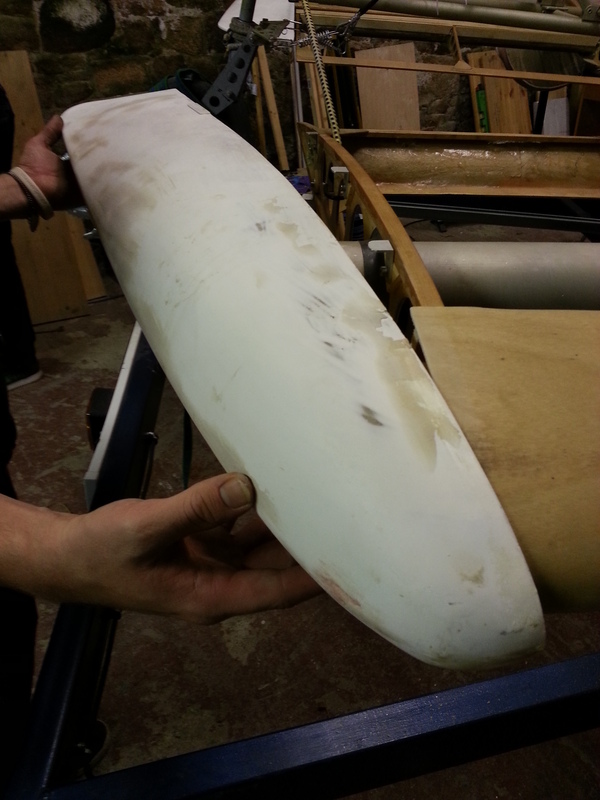 The final piece being to pein over the ends and file round any square edges to ensure that you get a smooth finished for the material to drap around. 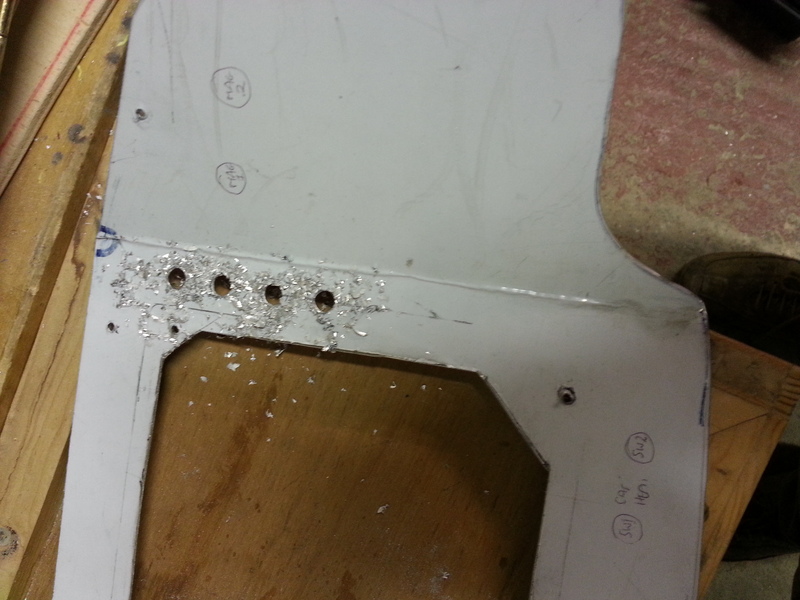 Just need to double check rivet size and rivet these in place. Started adding some more pieces to the panel. I don’t want to rush ahead and simply add everything , mainly because I havent got ALL the parts yet ! but also because you need to start thinking things 2 or 3 steps ahead (as always with the build). 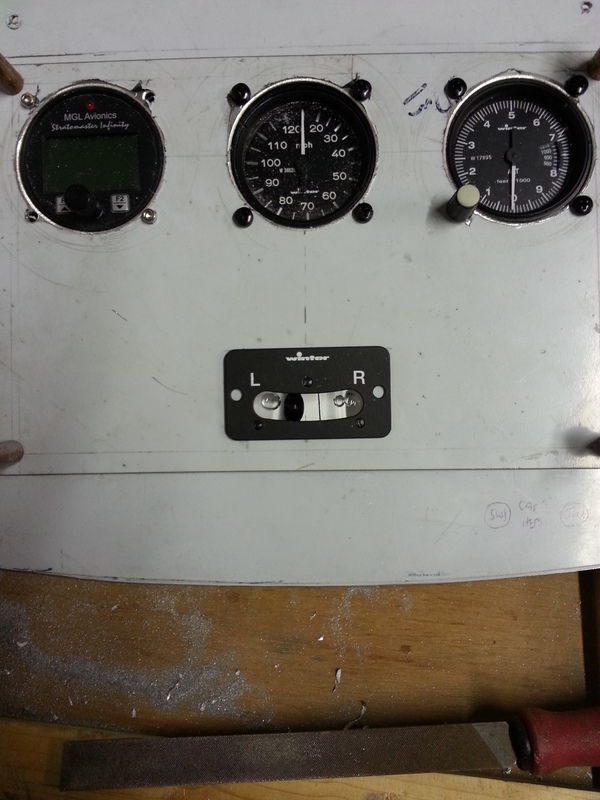 The placing of all items in the cockpit needs to be planned around the fact that you are probably flying the ‘plane with one hand whilst needing to adjust, flick switches etc with the other. The Stampe was a lovely ‘plane to fly with its nicely setup and easy to reach controls and the very small radio and dials neatly set out in front of you. 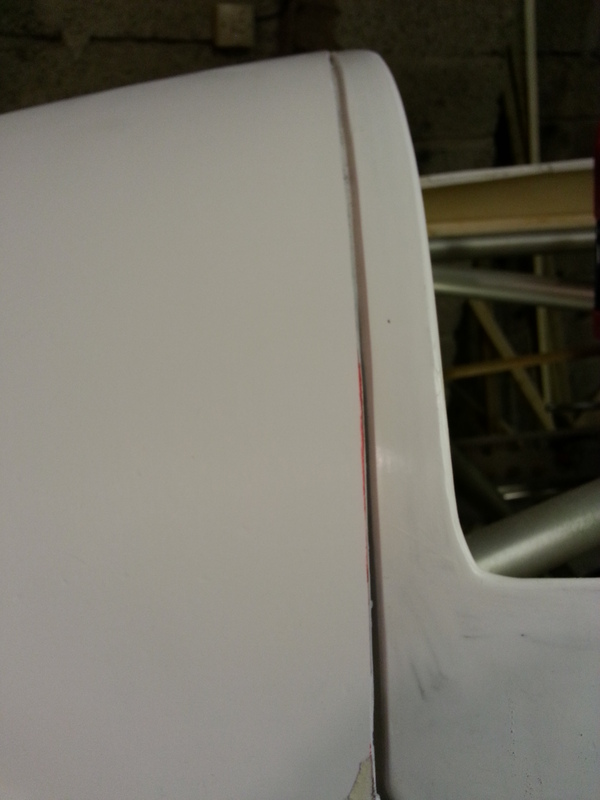 So last night, the turn and slip went centre panel. The first few warning lights also started to go in. Some of these will be on quite frequently – I plan to have two for the two stage carburetor heat – pretty moist around here so will probably have at least one on all the time if not two. 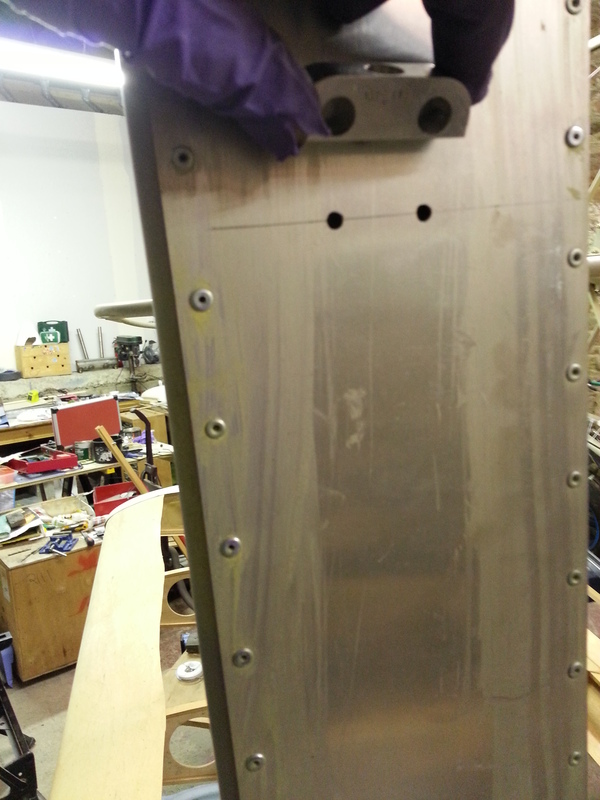 I also started to mount the switches for the Carb heat – these going on the lower panel. This just leaves a suitable location for the related (and other fuses). Holding off on this whilst I plan radio and transponders – not a cheap step ! I was planning on the Icom and perhaps one front one rear but with a fairly limited range (and I do intend to fly to France and UK) I really need something with more grunt and 8.33 Mhz of course. 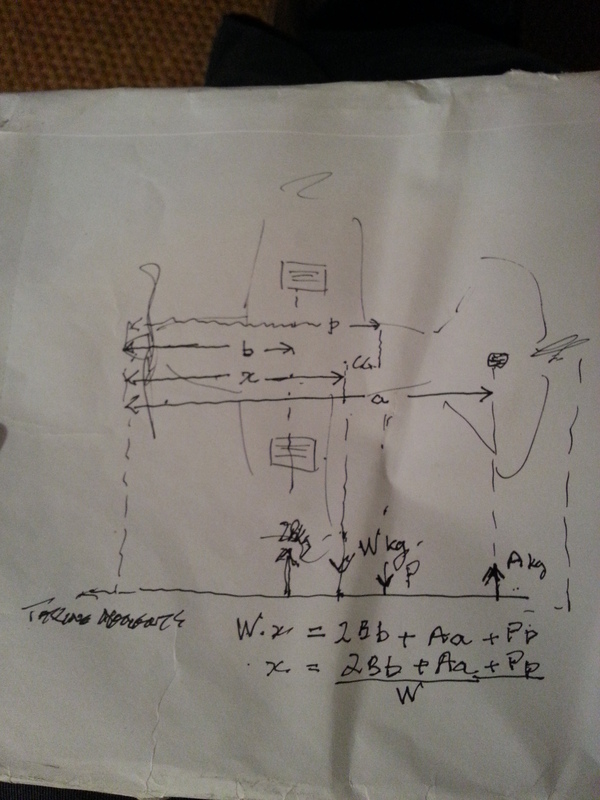 So it looks like a Trig setup for both radio and transponder. They do offer the significant advantage of a small head mount and a remote location for the box (perhaps behind the pilot seat ?). As I was over in the UK seeing my very ill Mum I took the opportunity to run through weight and balance calculations with my Dad. At least I could ask dumb (some really dumb) questions in the privacy of our living room at home in Cavendish, deepest Suffolk .. about how you actaully come up with a C of G when you can’t do what you do with models and supportthe ‘plane on the spar with a finger each side and say .. whooo its tail heavy !! 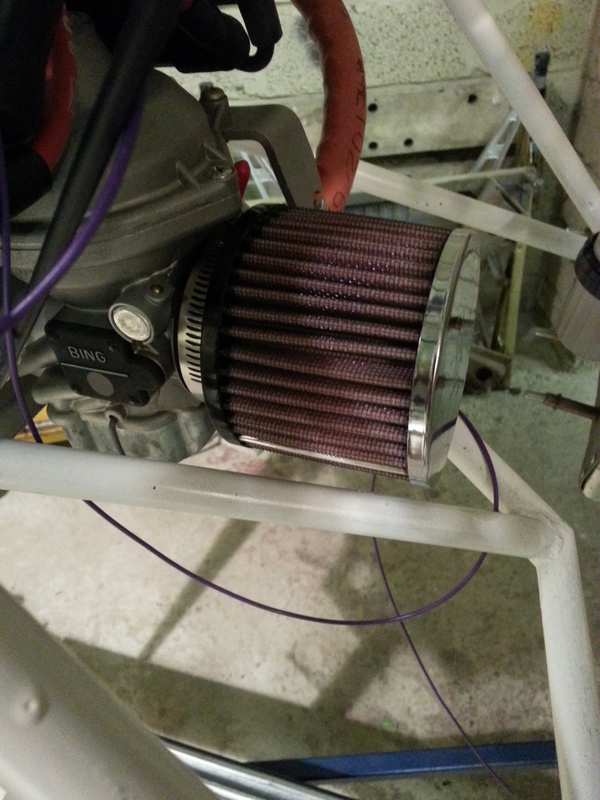 Another easy one last night .. the engine air filter arrived from LAS, along with the second joystick top. The joysticks will need reaming out to take the alloy cap that holds the PTT switch. 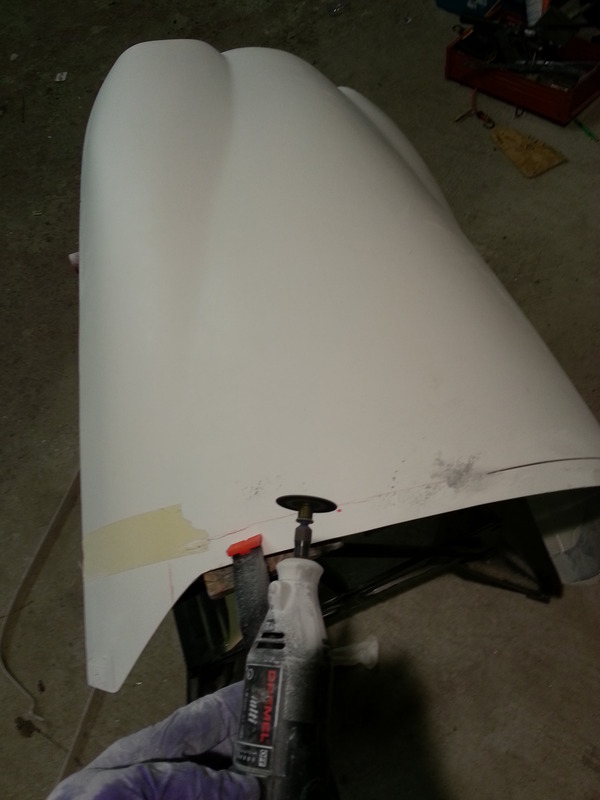 Started to trim the top cowl and get the basic outline first fit. As the guide from TLAC states – measure 3 times and then cut once. The dremel came in very handy although with a wrap around mouth guard and protective glasses it all steamed up very quickly which made following the cut guide line quite tricky. 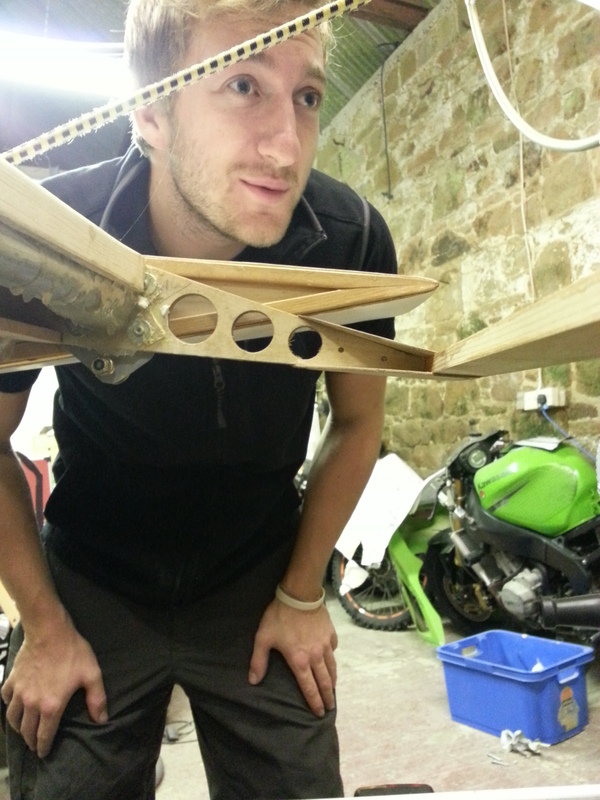 The first fit showed I had a slight varaition on the rear seating omn the top decking. Seconds trim took a couple of mm further off to level that up. 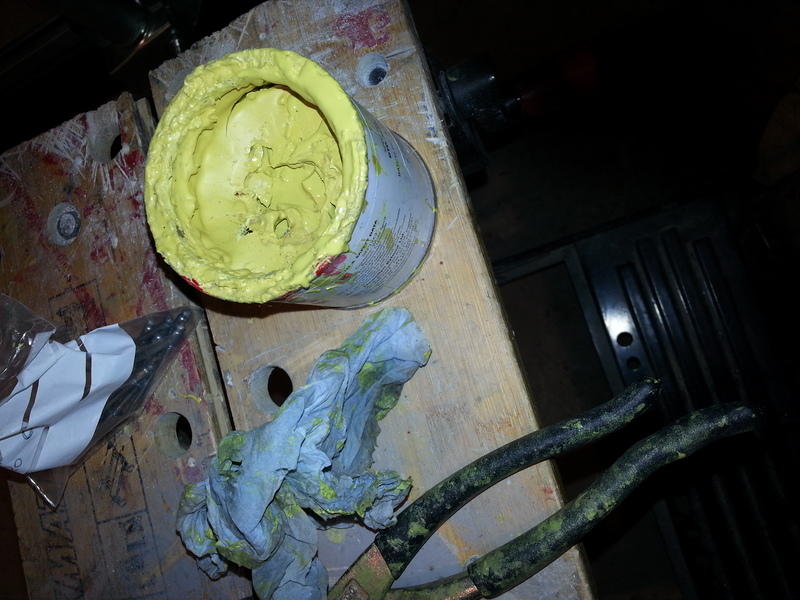 Still a little I’m not happy on so will sand now as the dremel can easily run off meaning a reach for the filler ! The problem I now have is howmuch to take out of the top for the engine cylinder heads that protrude and how much to take fom top and how much from bottom. As the guide say, be prepared to take these off and on many many many times ! 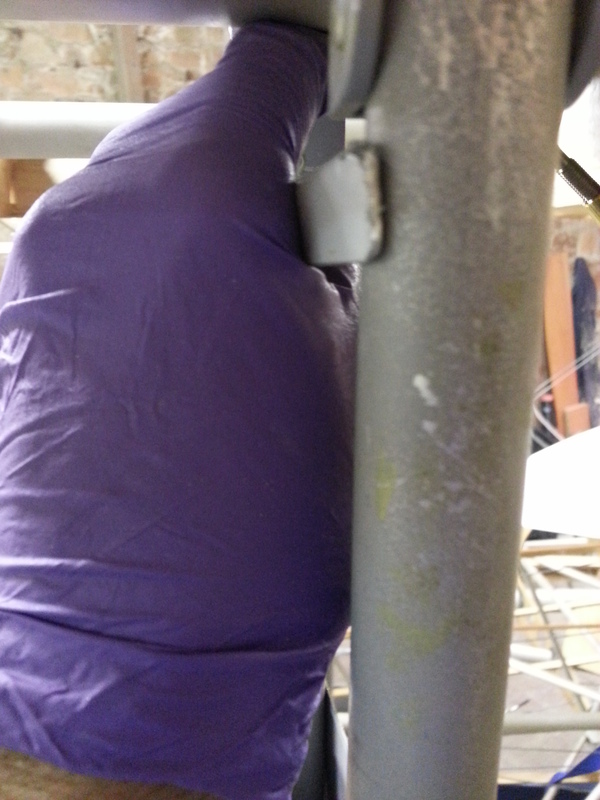 Made up another bracket for the choke cable – this will be added to the port side of the cockpit to keep it away from the primary Fuel On/Off valve. 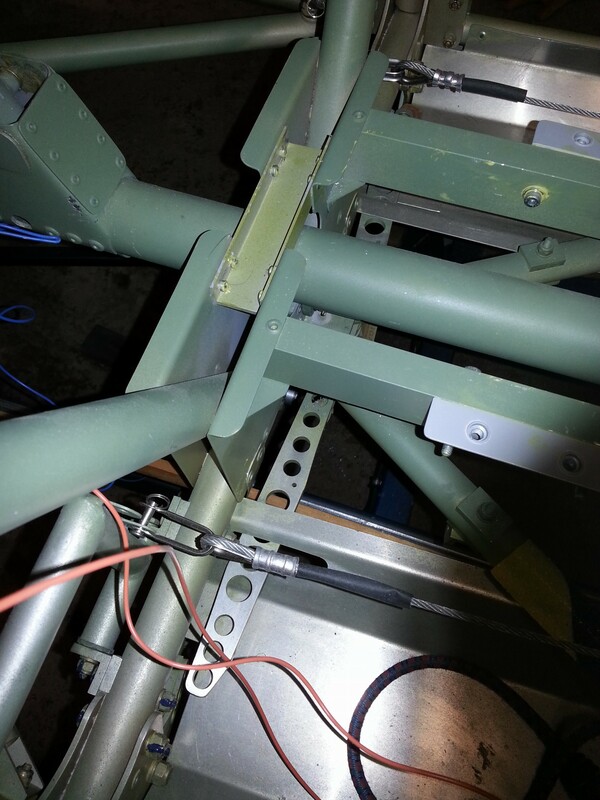 Have opted for a stiff wire cable and run it through the stringer support brackets before drilling through the bulkhead.